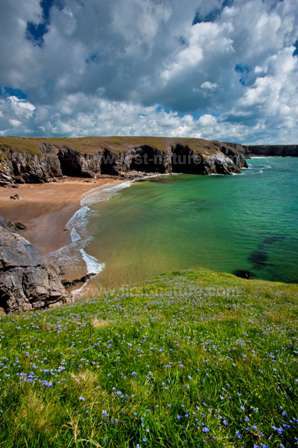 May 5th 2012 marked the official opening of the 870 miles long Wales Coast Path, which provides a continuous route around the whole of the country from the outskirts of Chester in the north to Chepstow in the south. Born of a desire to build on the economic success of the Isle of Anglesey Coastal Path and the Pembrokeshire Coast Path National Trail, it is hoped that the completion of the Wales Coast Path will increase visitor levels and give tourists and local people alike easy access to many beautiful but previously less well-known parts of Wales's spectacular coastline. Apart from the obvious economic benefits this massive project will deliver to the rural businesses of Wales, it is also a wonderful excuse for getting out into the countryside and enjoying fresh air, exercise and beautiful scenery. It's also a great opportunity for engaging with coastal species of Wales's wonderful wildlife. The Path runs through 11 of our National Nature Reserves and many more local, Wildlife Trust and RSPB reserves. These wildlife jewels are ideal places to see and enjoy some of the plants, birds, animals and insects that live there, en route to joining up with the Path. The entire path will be accessible to walkers, but where practical there will be sections to accommodate cyclists, horse-riders, prams and pushchairs, wheelchair users and people on mobility scooters. 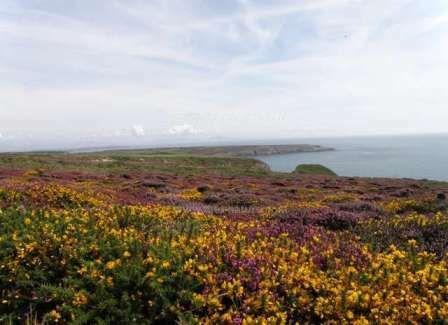 The Wales Coast Path has been developed by the Welsh Government in partnership with the Countryside Council for Wales (now part of Natural Resources Wales), sixteen local authorities and two National Parks. Funding for this project came from the Welsh Government and the European Regional Development Fund. 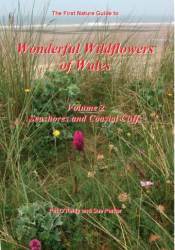 A beautifully illustrated guide to wildflowers of the seashores and coastal cliffs of Wales, with more than 100 large colour photographs including close-ups and size guides; flowering season date strips, and a 'Dulux' colour chart index page to make species identification as straightforward as possible.